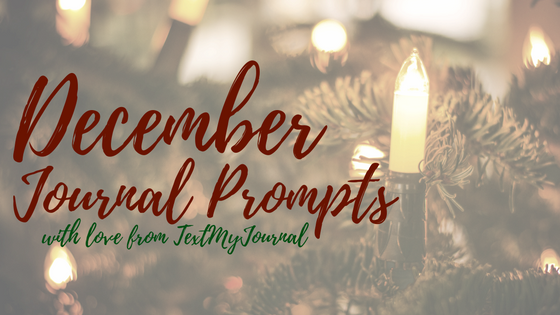 December Journal Prompts are here! Congratulations to everyone who participated in our 30 days of gratitude challenge in November. We had a blast, and hope you found opportunities to share gratitude. Let’s continue the gratitude momentum in December! 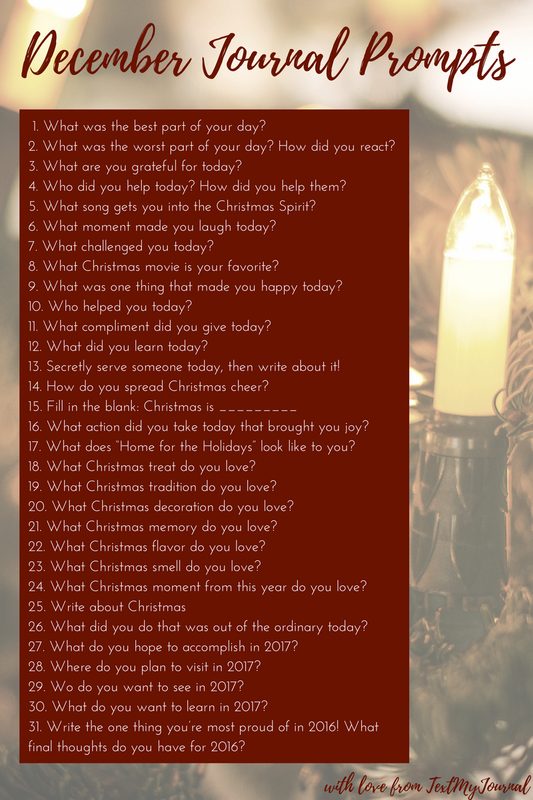 Here are 31 journal prompts for December to get you going. What was the worst part of your day? How did you react? Who did you help today? How did you help them? What song gets you into the Christmas Spirit? What moment made you laugh today? What Christmas movie is your favorite? What compliment did you give today? Secretly serve someone today, then write about it! How do you spread Christmas cheer? What action did you take today that brought you joy? What does “Home for the Holidays” look like to you? What Christmas treat do you love? What Christmas tradition do you love? What Christmas decoration do you love? What Christmas memory do you love? What Christmas flavor do you love? What Christmas smell do you love? What Christmas moment from this year do you love? What did you do that was out of the ordinary today? Where do you plan to visit in 2017? Wo do you want to see in 2017? What do you want to learn in 2017? Write the one thing you’re most proud of in 2016! What final thoughts do you have for 2016?